How do I customise the OpenLP UI font? 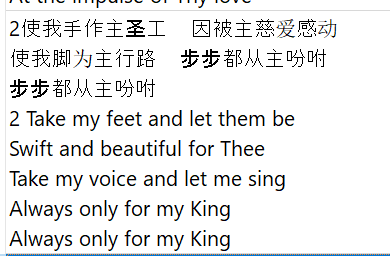 I using multilingual in my songDB & bibles (Chinese & English), unfortunately the Chinese fonts in UI display in difference style (some bold and some are not) in a same slide. Font size for Song Editor is too small for me too. Can I change the default UI font & size for OpenLP? OpenLP uses your operating system's fonts and sizes. So you'll need to change the font settings for Windows in your case.